Sometimes we print jobs that are just unbelievably simple but really stand out against the crowd. They dazzle and sparkle above the majority of prints and really do grab attention. Yes folks I am talking about Foil Blocking prints. Today I want to showcase a beautiful wedding invitation we printed this month for local MotoGP legend, Eugene Laverty and his now wife, Pippa. Pippa came to Kaizen back in October while planning her wedding looking for bespoke foil blocked wedding invites, after being recommended by a good friend. We took the initial brief and set to work designing a very high end design that would translate beautifully into a foil blocked wedding invite. After a few days to-ing and frowing we got a final design both the bride and groom were ecstatic about. A tradition serif font based design with a subtle border to encompass the text. Following sign off of the wedding invite we set to creating the gold foil block. This does take a couple of days, so during that time, we pulled together a sample pack of papers that would suit the design perfectly. The couple chose from the GF Smith range and picked the Frost White 270gsm paper, which looks amazing with the contrast of gold foil block and the texture of the paper to back it up. We were extremely happy with the finished product, as were Pippa and Eugene. As you can see from the photo below the finished product looks absolutely stunning and the simplicity of the design and the combination of the high end printed elements, really makes the quality of this foil blocked wedding invitation second to none. If you don’t know a huge amount about MotoGP or Eugene, you can find out more on www.facebook.com/EugeneLavertyOfficial or at www. elaverty.com, Eugene’s official website. Due to the bespoke nature of our foil blocked wedding invites, we generally need to talk you through the design and print process. No two jobs are the same and so we need to ask a few questions before providing a quote. Please email us via the contact form and we’ll get back to you right away. 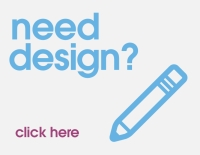 alternatively you can call 028 9002 2474 to arrange an appointment with our design studio.